In the departments, Kevan Williams looks at products for making barriers that serve as habitat along fragile coasts; Workstation offers a survey of how (and why) landscape architects might use 3-D printers, and Climate looks at new strategies for coastal restoration around the San Francisco Bay. All this plus our regular features in Species, Books, Goods, and Now. You can read the full table of contents for March or pick up a digital issue of the March LAM here. 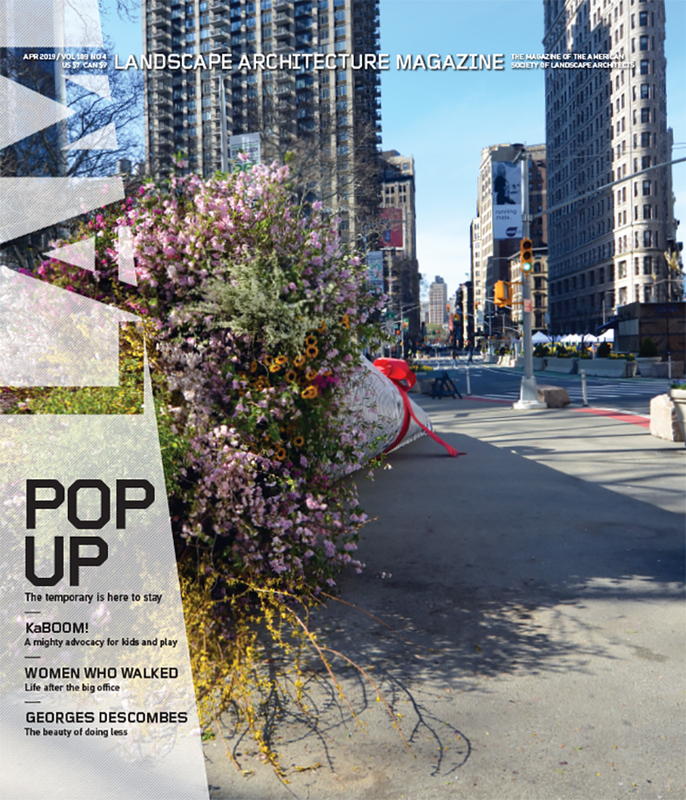 As always, you can buy this issue of Landscape Architecture Magazine at more than 200 bookstores, including many university stores and independents, as well as at Barnes and Noble. You can also purchase single digital issues for only $5.25 at Zinio. Annual subscriptions for LAM are a thrifty $59 for print and $44.25 for digital. Our subscription page has more information on subscription options. Keep an eye on the LAM blog, Facebook page, and Twitter feed (@landarchmag), as we’ll be ungating some of the articles from the March issue as the month rolls out. Credits: Lakeside/Prospect Park aerial, Michael Moran/Otto; Shadeworks, Matt Annabel, Associate ASLA; 3-D terrain model, Peter Summerlin, Associate ASLA; Gleisdreieck, Atelier Loidl; Templehof master plan, Templehofer Freiheit; ReefBLK, Coastal Environments, Inc.; Cool pavements research, Lawrence Berkeley National Laboratory/Roy Kaltschmidt; San Francisco Bay beach, Peter Baye.